MedicalResearch.com: What is the background for this study? What is Klebsiella pneumoniae? Response: K. pneumoniae is an important bacterial pathogen that cause a number of different infections. Presently, two pathotypes exist that behave very differently. Classical K. pneumoniae, which is most common in North America and Europe primarily causes infections in the healthcare setting, usually in patients with co-morbidities. Also, it is becoming increasingly antimicrobial resistant, making treatment challenging. 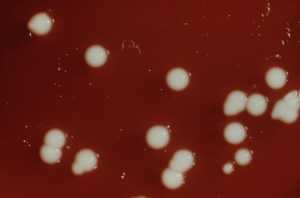 Hypervirulent K. pneumoniae, which is more common in the Asian Pacific Rim, can cause infections in otherwise healthy individuals, often causes infection in multiple sites, and these sites are usually not infected by classical K. pneumonia, such as the eye, brain, and aggressive soft-tissue infection (necrotizing fasciitis). Hypervirulent K. pneumonia strains are also becoming antimicrobial resistant, albeit at a slower rate than classical K. pneumoniae at this time. There are some differences how infections due to these two pathotypes are managed. It would also be ideal to track the prevalence and relative antimicrobial resistance of these two pathotypes, but up until now this could not be reliably done because there was not a validated test that could differentiate them. The goal of this study was to identify biomarkers that could accurately differentiate classical from hypervirulent K. pneumoniae. Response: Several biomarkers were identified and validated that could accurately differentiate classical from hypervirulent K. pneumoniae. Response: Findings from our report have laid the groundwork for the development a commercial test that can be used by clinical microbiology labs to optimize patient care. Response: This test can also be used by epidemiologists and researchers so that we can increase our understanding of hypervirulent K. pneumoniae. Many questions remain unanswered such as what is the best treatment and are certain patients at higher risk for infection, e.g. Asians. Performance of these additional studies are critical. A pathogen that is capable of causing infection in otherwise healthy individuals and is antimicrobial resistant, making treatment difficult, is highly concerning. No disclosures or conflicts to report. This entry was posted in Author Interviews, Infections and tagged antibiotic resistance, hospital acquired infections, infections, medical research, microbiology by Marie Benz MD FAAD. Bookmark the permalink.